Just over three years ago, Albanian cellist Redi Hasa and vocalist Maria Mazzotta from Puglia, in Southern Italy, released their first critically acclaimed collaboration Ura, in September 2014. Ura was the result of a four-year journey, which showcased and combined the powerful and poignant sound of Redi Hasa’s cello and the tenderness and emotion of Maria Mazzotta’s vocal. They were combined with a myriad of live recorded loops during what was a groundbreaking cross-cultural collaboration. Ura found Redi Hasa and Maria Mazzotta revisiting and reinterpreting ancient stories from South Italy and the Balkans. The key to reinventing these ancient stories was experimentation and improvisation. This was something that had never been tried before, and Redi Hasa and Maria Mazzotta were heading into what was unchartered water. Despite this, critics described Redi Hasa and Maria Mazzotta’s reinvention of the ancient stories on Ura as evocative, haunting and uplifting. Redi Hasa and Maria Mazzotta’s cross-cultural collaboration was hailed a resounding success. This was fitting, as Ura in Albanian mean bridge and in the Salento dialect translates to now. Redi Hasa and Maria Mazzotta had set out, and succeeded, in creating what was essentially a bridge between§ their respective cultures, in the here and now. Having succeeded in doing so, Redi Hasa and Maria Mazzotta then set about thinking about the followup to Ura, which had been an ambitious and groundbreaking project. Three years later, and Redi Hasa and Maria Mazzotta return with their much-anticipated sophomore album Novilunio which was recently released by Ponderosa Music Records. Novilunio finds Redi Hasa and Maria Mazzotta continue the journey that began on Ura. This means more music from the two shores of the Adriatic, the Balkans and Puglia, which are joined by melodies from Roma, Bulgaria and Montenegro. There’s also song that were first sung by migrants, odes to the pagan tarantella and the Virgin Mary during Novilunio, which brings together songs from different eras and songs that were originally sung in lost languages. Novilunio promises to be another beautiful and enchanting album that builds on Ura, and continues this musical journey. It’s a journey that began back in 2010, when the two musical pioneers, embarked upon what proved to be a seven-year voyage of discovery, where Albanian cellist Redi Hasa and vocalist Maria Mazzotta from Puglia, in Southern Italy, have been revisiting and reinventing the musical traditions of their birthplace. This is something that other musicians have tried before, but Redi Hasa and Maria Mazzotta’s approach on Ura was very different. Redi Hasa and Maria Mazzotta’s partnership was a meeting of musical minds, with each complimenting each other perfectly. 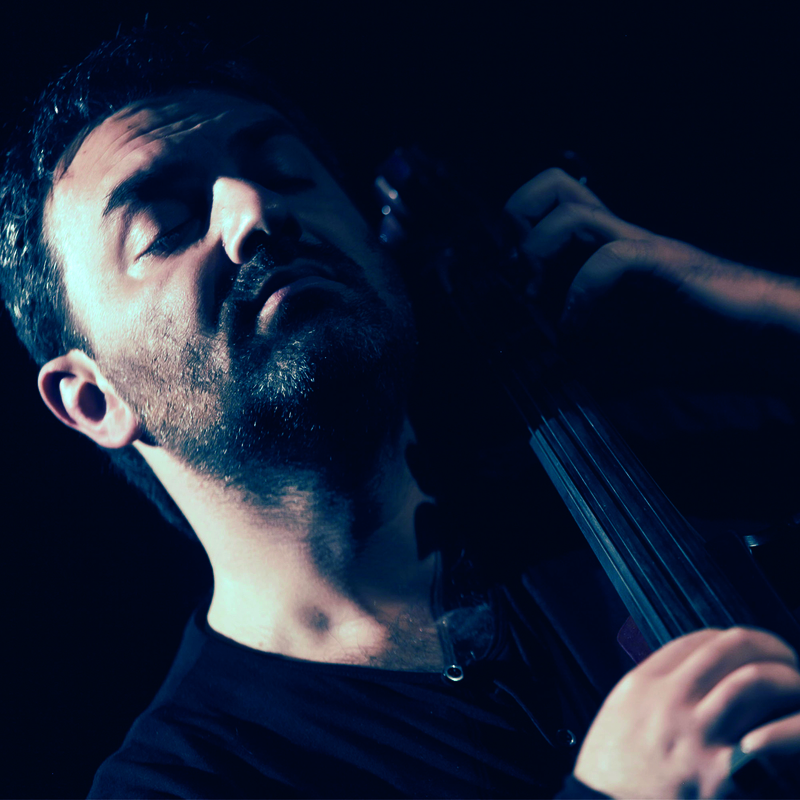 This was no surprise as Redi Hasa was regarded as one of Albania’s top cellists, while Maria Mazzotta had played an important role in the rebirth and revival of Salento’s musical heritage. Her nascent partnership with Redi Hasa marked a new chapter in her career. 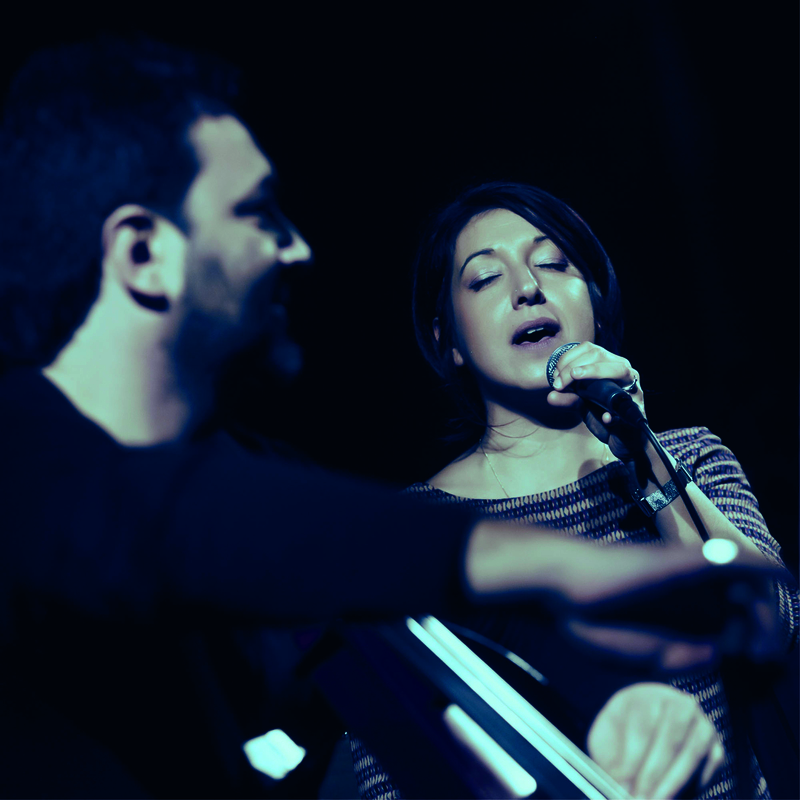 Over the next four years, Redi Hasa and Maria Mazzotta were like a musical yin and yang, as they reinvented the ancient songs of their birthplaces, and took them in a new direction on Ura. To do this, they relied upon experimentation, improvisation and innovation. This included the use of live recorded loops. However, at the heart of Ura’s sound was the brooding, opulent and lyrical sound of Redi Hasa’s cello which was combined with the tenderness, emotion and radiance of Maria Mazzotta’s mesmeric vocal. The result was Ura, a groundbreaking and crucially acclaimed cross-cultural collaboration. Now they continue their journey on the followup to Ura, Novilunio. Recording of Novilunio took place at Peter Gabriel’s Real World Studios, where Redi Hasa and Maria Mazzotta recorded eight new songs and covered two traditional ballads. They were produced by Alberto Fabris and recorded by Tim Oliver. 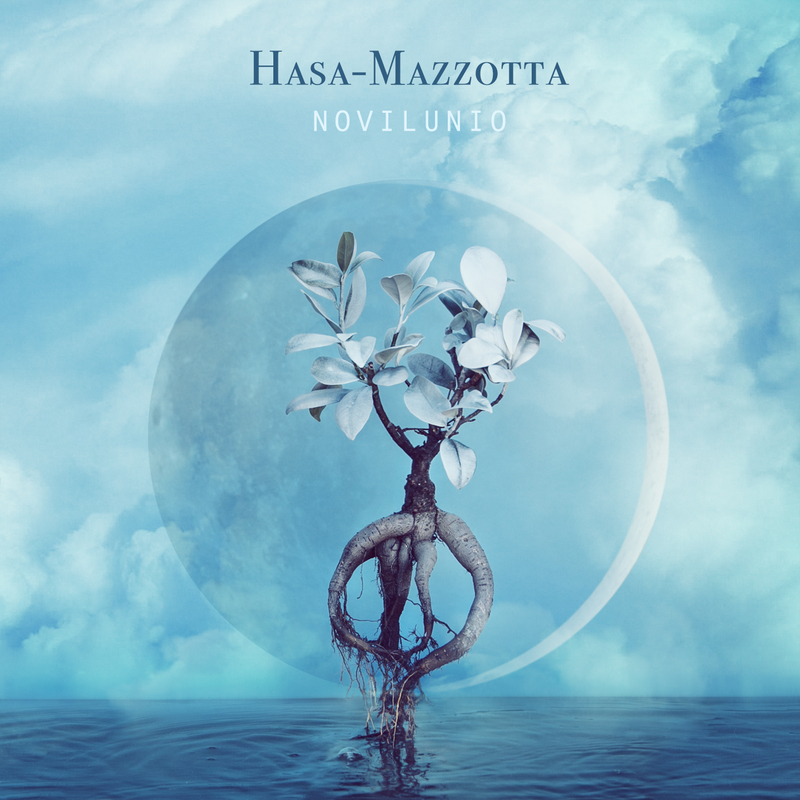 With Novilunio complete, Redi Hasa and Maria Mazzotta’s sophomore album was scheduled for release in the autumn of 2017 by Ponderosa Music Records. Very different is Aux Souvenirs, where Redi Hasa’s cello ensures the arrangement waltzes along painting pictures of another musical era, as Maria Mazzotta sings of lost love. Her vocal oozes emotion, sadness and regret. This changes later, when a big band enter. Still, the arrangement waltzes along, but Maria Mazzotta’s vocal becomes joyous before Aux Souvenirs reaches a memorable crescendo. Capufrisca is the second song to feature Iranian percussionist Bijan Chemirani and Mehdi Nassouli of the Gnawi brotherhood of mystics. They play their part in another cross-cultural collaboration. This time, the song combines Redi Hasa and Maria Mazzotta’s respective musical roots. Again, Maria Mazzotta’s vocal is impassioned, as she sings with an urgency while Redi Hasa provides a poignant and sometimes almost dramatic accompaniment. Later, harmonies and percussion combine, before the cello returns and Maria Mazzotta delivers soul-baring vocal. It’s one of her finest on Novilunio. One of the most beautiful song on the album is Novilunio, which features a tender, ethereal vocal from Maria Mazzotta. She delivers this intimate song to the moon, with cello, percussion, harmonies and a lone horn accompanying her. Meanwhile, Maria Mazzotta delivers a whispery vocal on this intimate song to the moon. It comes complete with the hope of love in the future, and also of peace. Novilunio is a beautiful song, and showcases a truly talented and versatile vocalist. A lone, wistful cello opens 25 Trecce (25 Braids), which is an Albanian love song, before Maria Mazzotta delivers a tender, heartfelt vocal. Her reading of the evocative lyrics is accompanied by, and later, replaced by the broody cello. Together, they transport the listener to the Balkan Peninsula, and Albania where this love song is part of the country’s rich musical heritage. Contine is a more lighthearted and ironic sounding song, which in some ways is reminiscent of a children’s nursery rhyme. It bursts into life, with Redi Hasa’s plucked cello being joined by Maria Mazzotta’s brisk vocal. She matches him every step of the way during a song that shows another side to Redi Hasa and Maria Mazzotta. Cu Ti Lu Dissi is a classic tune by Italian folk singer and songwriter Otello Profazio and Rosa Balistreri, another Italian singer-songwriter. They wrote this song about a “creaky heart” which is reinterpreted Redi Hasa and Maria Mazzotta. Her vocal is a mixture of emotion, drama and theatre, as she breaths life and meaning into the lyrics. Meanwhile, Redi Hasa’s cello plays a supporting role on this emotive and impassioned fusion of music and drama. Another beautiful ballad is Il Mondo Di Rosso e Di Blu, which features a tender, elegiac vocal from Maria Mazzotta. She’s joined by Redi Hasa’s subtle and haunting cello, which augments Maria Mazzotta’s vocal which takes centre-stage, where it belongs. Novilunio closes with Libro D’Amore (The Book Of Love) a pizzica tarantata, which features a fusion of traditional rhythms and unusual melodies. They’re meant to represent the concept behind Novilunio, which is music that heals and regenerates, whilst finding a new equilibrium. 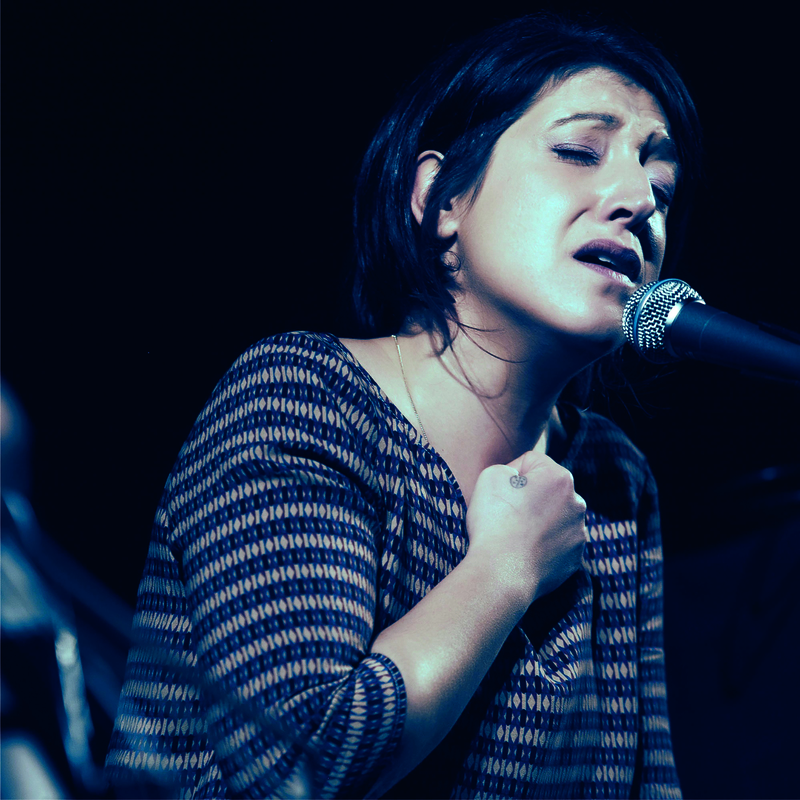 That’s sure to be case as Maria Mazzotta unleashes a vocal powerhouse, where she combines power, passion and emotion. Later, swells of strings sweep and swirl having replace her vocal, and add an element of drama as Novilunio ends on a resounding high. The Hasa-Mazzotta partnership have kept one of the best until last. After ten tracks lasting thirty-nine minutes, Hasa-Mazzotta’s sophomore album Novilunio is over, and is a reminder of what this talented and versatile duo are capable of. They reach new heights on Novilunio, which manages to surpass the quality of their critically acclaimed debut album Ura. Novilunio which was recently released by Ponderosa Music Records, is the second album since their musical journey began back in 2010. Hopefully, Hasa-Mazzotta will return in the future with the followup to Novilunio, which is a career-defining collaboration. On Novilunio they revisit and reinterpret two songs from their musical heritage, and draw inspiration for the eight new tracks on the album. They’re an eclectic selection, and range from soul-baring ballads to rousing, uptempo tracks and cinematic instrumentals. They’re part of Novilunio, which features music that is meant to heal and regenerate, whilst finding a new equilibrium. Novilunio is also a career-defining cross-cultural collaboration that features beautiful, cinematic, thought-provoking and uplifting music from Hasa-Mazzotta, who are a musical yin and yang. ← BELGIAN NUGGETS 90s-00S Vol 1.